New Fall Collection: Meet Savannah! The last new design in the fall collection is the Savannah Swing Jacket. 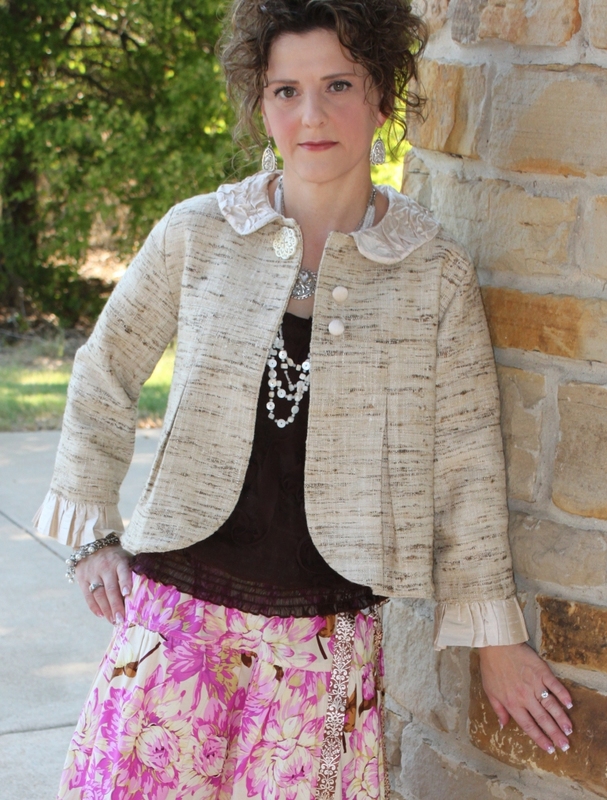 Featured in two lengths (hip or fingertip), this jacket has a slight flare that floats away from the body for great and stylish swing! The sleeves are 3/4-bracelet length with many options for finishing out the cuff. 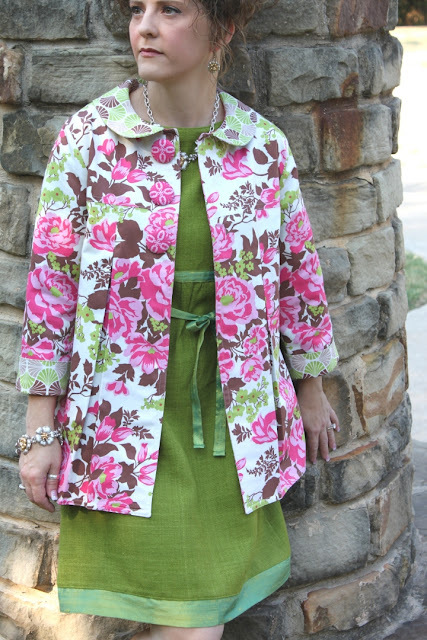 You can choose a contrast turned cuff, ruffle, narrow band, or plain band with an optional button trim. The bodice has variations for double or single pleats as well as a squared or rounded front. The collar has a few options too. 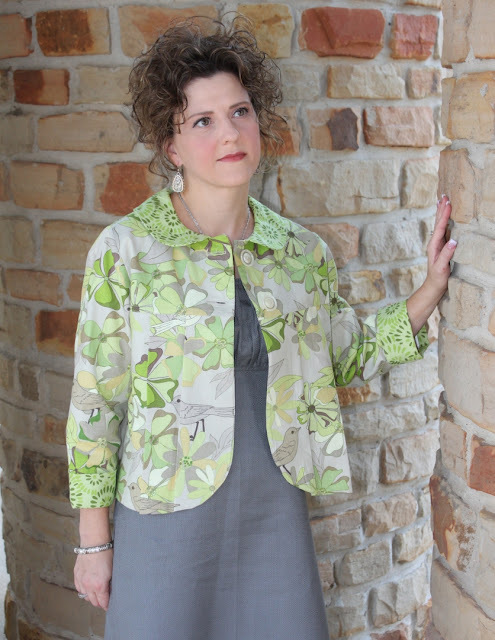 You can make it from the same fabric, contrasting fabric, or ruche it for great added textural interest. For those of you who have been wanting a lined jacket, here it is! 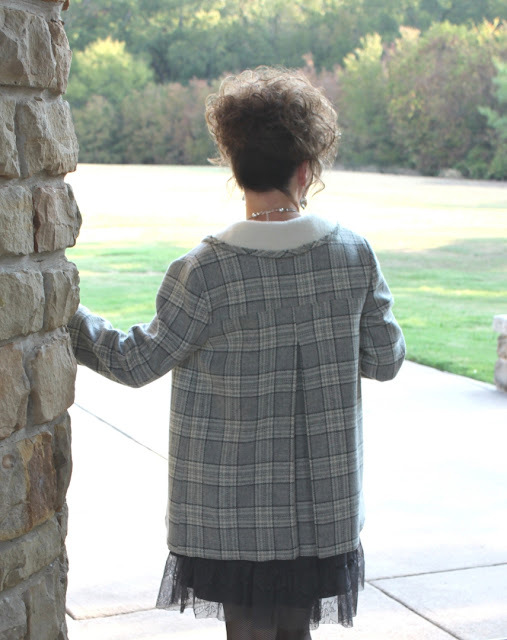 I have included full instructions for lining the jacket as well as an option to leave it unlined for those of you who would like a lighter weight jacket or maybe you just aren't ready to tackle the whole "lining thing" just yet! This jacket is just fabulous made up in lovely textured heavy silk, wool, home decorating weight twill or sateen, and linen. It is best to stay with a heavier weight fabric for the jacket so that it hangs appropriately. This is one of the few times that I would recommend that you NOT use quilting weight cottons. There are so many wonderful heavier fabrics available that I am sure you will find something fabulous to make your jacket from. You will notice that I also chose to mix it up a bit with my buttons. 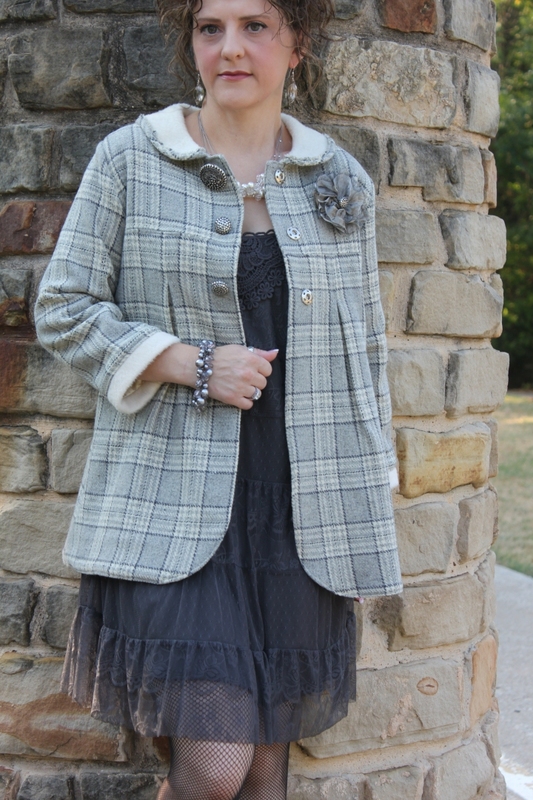 I have placed covered buttons on several, varying the size based on my whim at the time of making the jacket. Sometimes the buttons match, covered in the same fabric as the jacket, and sometimes they are made from contrasting fabrics. I also found some great accent buttons too, so don't be afraid to mix two different styles of buttons or more on your jacket. Let this design speak for your personal style! It looks like we will be able to get these patterns listed very soon, so watch for next week when they will be available for purchase!